Last March, Delta and Korean Air announced their intention to form a joint venture on transpacific flights. This is quite a development for the two airlines. While they’re both part of SkyTeam, they’ve had the lowest level of cooperation possible within the alliance. 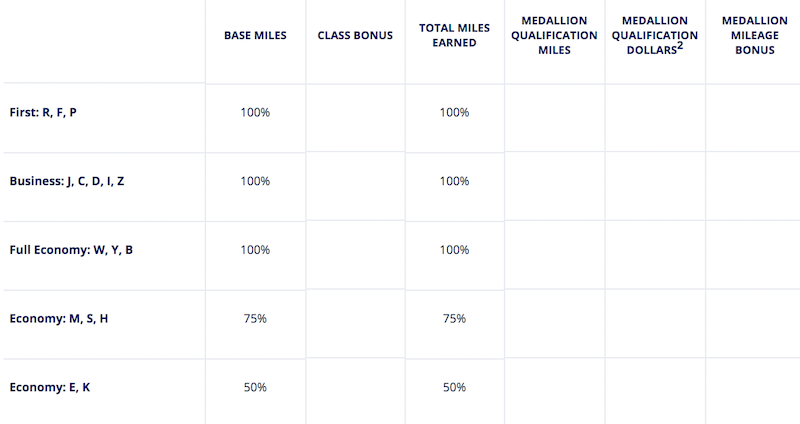 Up until now, Delta SkyMiles members haven’t even been able to earn Medallion Qualifying Miles (MQMs) for travel on Korean Air. That sure makes you wonder what exactly the point of an alliance is. We’ve known that mileage earning rates would improve once the joint venture was approved, though that process has taken a long time, unfortunately. Last November the US Department of Transportation approved the joint venture, so then they just had to wait for approval from the Korean Ministry of Land, Infrastructure, and Transport. As you see, these mileage earning rates are as good as they get for SkyMiles airlines. 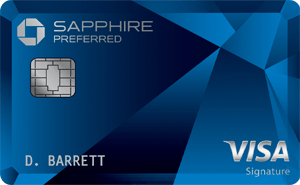 You can earn up to 300% redeemable miles, up to 200% MQMs, up to 60% MQD, and elite mileage bonuses. The improved mileage bonuses are of course great news, though that’s not the extent of the changes we should see from a joint venture. The two airlines are now also able to align their schedules and fares, and for all practical purposes they’ll be acting as one on transpacific flights. From the perspective of consumers, joint ventures have always been a mixed bag. On one hand they often lead to more frequent flyer program benefits, though on the other hand they’re the equivalent of eliminating a competitor in a market. On balance I’d say this is good news, though only because Delta’s mileage earning rates on Korean Air are otherwise so abysmal. Are you happy to see the Delta & Korean Air joint venture approved? Delta has just started to allow Diamond Medallions to use GUCs on Korean Air flights. So any Korean flight gives me MQM if I use my Skymiles number, or only flights booked through the Delta site? Neil you can book direct through Korean and enter your skymiles number. I wonder if this is the beginning of the end for the Alaska-Korean Air deal. 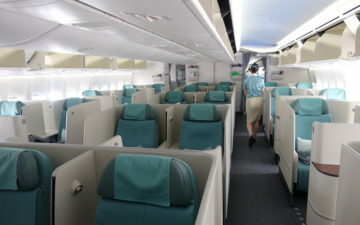 Korean Air doesn’t seem like they liked to be pushed around, but who knows. The rest of the Delta group has certainly dropped out. 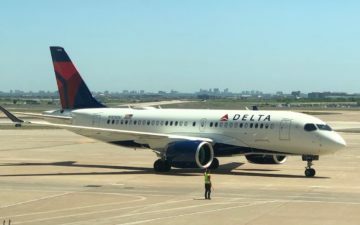 Did Skypass earnings on Delta flights change or improve as well? Why only 60% MQD’s ??? @dotti – it is based on distance traveled rather than $ spend. A 10k mile trip would earn $6k in MQD for a P/F fare. This is why it’s important many times to compare booking on the DL flight number versus the partner’s flight number for discounted J fares if one is looking to maximize MQD. As a Seoul based flyer who uses KE to go to ATL, I’ll happily take the Delta flight and save a few hundred dollars now (sometimes) and take my 70% earned Skypass miles. For years I paid a premium for the KE miles for the long haul back to the US. 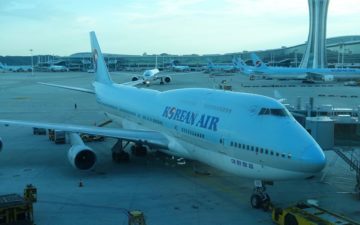 I used to earn DL miles when I first moved here and actually hit silvermedallion sticking only to KE within Asia back in 2011…but now that I’m here long term, I am sticking with Skypass and even earn miles through Korean credit cards and even my check card to compliment my KE/SkyTeam Asian trips. I used to fly a lot with KE in the 70’s and 80’s but lost interest once I was a FF with DL and others. This just comes too late, I’ve gotten used to flying with other airlines (JAL, ANA, CX, CI) and have no interest in returning to KE after this improvement in earning miles. All the negative publicity hasn’t helped either, I’ll let others enjoy KE without envy! Great to see that skypass earnings on DL flights has improved as well. Since I’m a “free agent,” I try and collect miles where I’ll get the most use out of them, so it’ll be nice to get those extra miles. @ Willem YES, the skypass earning rates on DL went up as well. How may I maximize transfer miles to Delta ? i was told that my seat was L and 0 miles can be transferred to Delta at that time, should I ask korean air to check if I can buy “Economy S”? Just booked RT on Delta to Da Nang (DAD) through Detroit (DTW) using Amex MR rewards through Amex travel (for the 35% points back.) Trip booked into economy v. Delta is showing no mileage accrual of for the Korean Air flights from ICN to DAD. I assume this means no MQMs on these segments? I do not see economy v on the Korean chart. Also, I can upgrade to Premium Select from DTW to ICN for $386 ow. Is that a good offer, and is it likely to to up or down over time? I have read some people have called in to Delta and obtained a better deal? I need the MQMS, so not inclined to upgrade with points, and will likely pay for the upgrade to premium select.